New developments | DIESELWORX s.r.o. We have developed our own adjustments on the MTU 396 engines, to improve the overall quality and to solve known frequent problems. The MTU 396 engine is notorious for bore polishing and subsequent piston seizures! 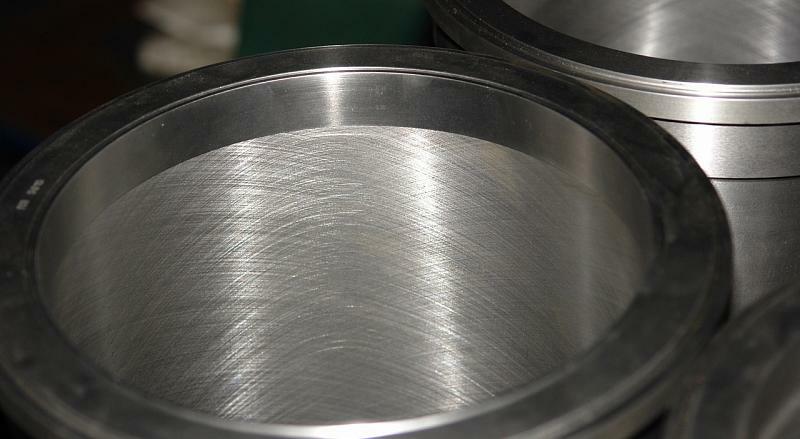 Dieselworx has developed a cylinder liner with a Anti Polishing Ring! (APR). The APR scrapes carbon away from the piston crown, it is blown away with exhaust gasses. The crown is free from the cylinder-wall, carbon is not taken down to the cylinder wall. 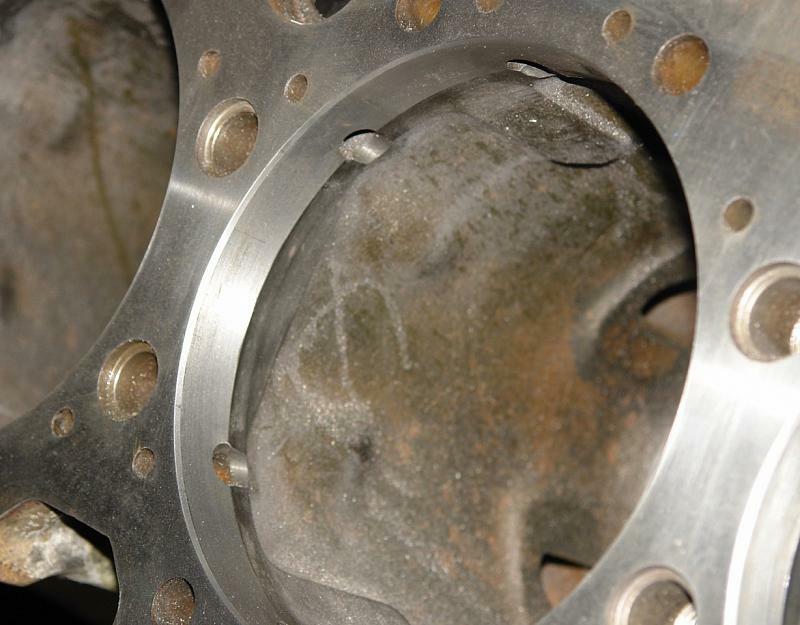 The mating surface between crankcase and cylinder liner has increased by a full 100%! The upper cylinder liner bore was a weak point of this engine, the increased surface, eliminating the need for re-machining with each overhaul. Because the bore in crankcase is bigger, all old wear is removed, the crankcase is again standard! -Very long times between overhauls, 40.000+ hours possible! (other parts may not have this life time). -No more bore polishing / piston seizures. 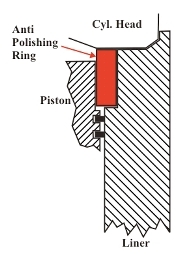 Is caused by carbon on the piston crown taken down between piston and cylinder wall. causing mechanical wear of the honing surface, a bright shining surface appears, oil is no longer kept in the pores of the honing, oil control is lost, high oil consumption, scoring and seizing starts.